UK application process varies greatly between different levels of education and types of institution, so make sure you find out all the details for your chosen course. First, ensure you meet the entry requirements - don't waste time applying for a course that you're not eligible for! These requirements will relate to your qualifications, your English language skills, and whether you will be able to secure a visa. Give yourself enough time. Many English language courses and shorter further education courses have start dates throughout the year, but most other courses start in September or October, and the deadline for applications can be up to a year in advance. The application process can be nerve-wracking, but if you complete everything you're asked for - and ask for help if you need it! - then this is just the beginning of your UK Education. The main intake offered by all Universities is September / October Few universities offer select programs for the Jan / Feb intake. IELTS minimum score of 6.5 for Postgraduate courses and 6.0 for Undergraduate Studies. Successful completion of a degree through the medium of English or 70% in English in std. XII may help you to get Exemption. *Please note TOFEL and PTE are accepted by selected institutes. 60 % and above in 1st Bachelors Degree is required by most of the Universities for Masters and Research courses. Some universities may even accept student at 55% and above in the 1st Degree along with a GMAT scores ranging between 600-700 for Management Programs Full time work experience of 2-4 years after Bachelors degree may required by many Universities for Management Programs (MBA). The duration of work & GMAT vary from University to University. All AMBA accredited universities require a minimum of 3 years or above work experience and an age criteria of 25 years plus as a minimum age requirement. Attested copies of mark sheets of Std X, XII, and all the Bachelors degree semester wise marksheet and degree certificate. Edwise counsellors can attest these for you, on sighting the originals. Photocopied score reports of IELTS / TOEFL / PTE / GMAT if available / required. Others (Certificates / Achievements at the State and National Level and Miscellaneous extra curricular activities). One can apply to 5 different UK Universities on the same UCAS application form. UCAS application fee and deadlines: The fee for applications is £12 for a single choice or £23 for multiple courses for most courses, the deadline to submit your application to UCAS is 15 January. Sandwich and Foundation Programs: Sandwich programs are made up of combinations of periods of study and time spent in industry. So the course duration extends to 4 years instead of the usual 3 years. "Hi, I am Pooja Das going for my Masters in Fashion Retail Management at University of Arts London (LCF) this year. This is the biggest opportunity for me and would not have been possible without EDWISE. 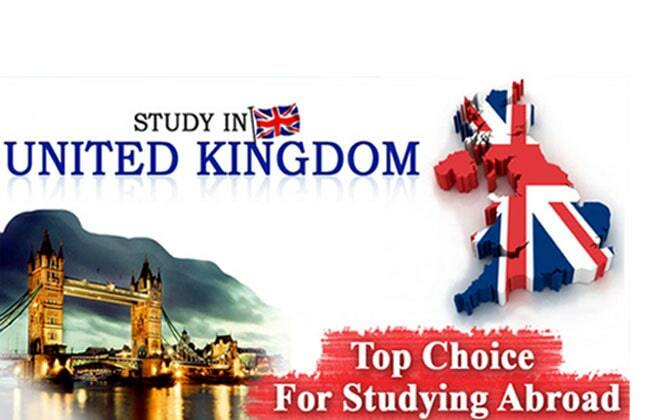 When they say "Edwise is one stop solution for all international study needs" they are 101% correct. I decided to go for my masters while I was working with an organisation. It was quite challenging for me to manage my MA applications and my official work. So I heard about EDWISE from one of my faculties from NIFT and went to their office for assistance. I was determined to apply for UAL, but the advisers guided me to choose other top universities as well . My counselor was from Delhi South Ex branch. She has been a great adviser and mentor to me; she helped me to apply for all the universities, informed me about the events related to my chosen universities, updated me with the interview dates and their results. She also helped me to apply for my visa and was always there to answer my queries very promptly. The counselors are very professional, friendly and helpful. The best part is that the relation with EDWISE doesn't end here; you are always welcome to seek advise even after you get selected at your desired university. My experience with EDWISE has been wonderful."